Home Saunas Since 1974 has been providing customers in Canada and the USA with high-quality home saunas and sauna products for over 40 years. We are proud to have achieved a solid reputation for exceptional customer satisfaction and the quality of our sauna products. As we have since those early days, Home Saunas Since 1974 will continue to serve the needs of our sauna customers by holding firm to our established standards of excellence. With competitive prices, superior customer service and great craftsmanship, we will continue to demonstrate to sauna buyers why we have received these sauna reviews from our customers. Read the latest reviews from very happy customers! 1. Sauna Reviews: Our Acclaimed Sauna Book,"Art of Sauna Building"
"Your book,"The Art of Sauna Building " is by far the best book on sauna construction that I've ever seen." Keith Raisanen, President, Finnleo Sauna and Steam, Cokato, Minnesota. [Finnleo Sauna and Steam is America's largest sauna company]. "Your book, The Art of Sauna Building , really helped me finish my sauna project. It was a nice to get it as a gift with the sauna package I bought from you. I also appreciate you giving me such a low factory-outlet price on my sauna package." "You guys were a big help. Before I called you, I hardly knew the difference between pre-cut and prefab saunas. Now I know so much more. I can't wait to read your "Art of Sauna Building" book!" 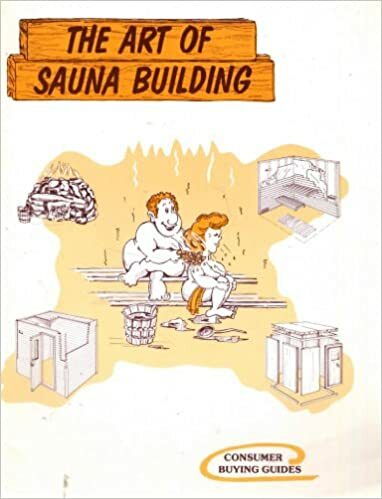 "The Art of Sauna Building" is the best sauna book I've ever seen on sauna construction, sauna building and sauna installation. It was absolutely invaluable. The section on sauna design and sauna plans made my home sauna project a real pleasure." "If anybody tells you that you have to spend a lot of money to get a reliable home sauna kit, don't believe them. Go to Home Saunas Since 1974 and look at their affordable cedar sauna kits. That's what I did, and I'm so glad I did." "If you want to buy a sauna, talk to the experts at Home Sauna Kits - Since 1974. I found a portable sauna at a fabulous price, and the service I received was excellent. I'm telling all my friends to buy their saunas from Home Saunas Since 1974. You factory-outlet prices are truly amazing deals!" "Thanks for all your help with my sauna purchase. I can't tell you how happy I am with my new outdoor sauna in the backyard.. I expected you to be friendly and helpful, but to get such a low price on such a nice outdoor sauna really surprised me. Before I go back outside again, I just had to say thanks one more time." "I was looking for an indoor sauna at a good price, and I found it at Home Sauna Kits Since 1974. Now I don't dread the Minnesota winters like I used to. Home Saunas Since 1974, you've warmed my heart with your fabulous sauna, friendly staff and terrific sauna prices!" Claire N., St. Paul, Minnesota. "It's reassuring to know that excellence in customer service still exists. My sincere thanks to your Sauna Guru, Pertti Jalasjaa and the members of your sauna team who assisted me when I was shopping for my replacement sauna heater. Not only did I get a great new sauna heater, but I feel like I made some new friends." "I knew nothing about saunas before contacting Home Saunas Since 1974. Thanks to you, I now know lots. Your sales rep, Andy, was very patient and understanding with all my questions. I'm still not an authority on all things sauna, but you guys sure are. Great work!" "Shopping for sauna heaters can be confusing, but my experience with Home Saunas Since 1974 was anything but. Your courteous sales advisor, Marg, helped me pinpoint my needs, discussed the various sauna heaters available, and never pressured me one way or another. She represents your company very well. Marg is quite an expert on sauna heaters." "I had a lot of sauna dealers to choose from, but I chose Home Saunas Since 1974 after being referred to you by a friend. He already had experience in sauna building, so I took his advice. Now I'm doubly indebted - to him and to you. The home sauna kit I purchased from you was everything you said it would be - it was great!" "I researched portable saunas extensively before deciding on Home Saunas Since 1974, and I'm glad I did. I use my portable sauna a lot, and I rest easy knowing that I bought the perfect portable sauna for me. I am very satisfied with Home Sauna Kits Since 1974!" "When I first set out to buy a sauna kit, I expected it to be quite a chore. I couldn't have been more wrong. You were the first sauna guys I called, and you were also the last. You had every type of sauna kit to chose from ... and more. Thank you." "The quality of the family sauna kit I bought from Home Saunas Since 1974 is phenomenal, and I'm very fussy. And I love the low sauna factory-outlet prices. I saved over $1,400 buying a sauna from Home Saunas Since 1974!" "I've built many sauna rooms in health clubs over the years. The cedar from Home Saunas Since 1974 is the best quality cedar I have received for building sauna rooms. I'll be a repeat customer, that's for sure. Keep up the good work, Bert!" "What I wanted was a home sauna kit that would be easy to build and easy to use. What I didn't want was a package of cheap, flimsy material at an inflated price. As soon as I found Home Sauna Kits Since 1974, I knew I'd have no worries. I wish more sauna companies were like Home Saunas Since 1974." "I fell in love with sauna baths when I was a teenager. Now, thanks to Home Saunas Since 1974, I take one whenever I want. With the cedar sauna kit I bought from Home Sauna Since 1974, I'm reliving all the great times I had in my youth." "Two years ago, the thought of buying a Finnish sauna kit would never have entered my mind. But that's when my health took a turn for the worse. Now, I'm happy to say I'm on the road to recovery, and I believe I owe some of the credit to Home Saunas Since 1974 and my new D-I-Y sauna kit." "My new outdoor sauna is the greatest gift I ever bought myself. I feel refreshed and recharged each time I use it. I know lots of people love the traditional Finnish-style "dry" sauna. You can now add me to that group of sauna lovers! My outdoor sauna is perfect for me. Definitely money well spent!" "When it came time for me to buy a sauna, I chose Home Sauna Since 1974 because of the terrific prices, wide selection, and expert sauna staff. I selected a 5-person outdoor sauna that I'll be enjoying for years to come. Thank you, Home Saunas Since 1974!" You know, some days it 's hard to be humble when you're Home Saunas Since 1974! Remember, Great Home Sauna Kits start here! Home Saunas Since 1974 is proud to be a major pioneer of the sauna industry in Canada and the USA. Since 1974, we have shipped over 65,000 great saunas to every state in the USA, every part of Canada and 28 countries world-wide. We now invite you to take advantage of our years of experience and expertise to make your sauna project simple and successful. Our sauna experts are here to make this easy for you! Home Saunas Since 1974 has over 174 models of home sauna kits. You can choose a pre-cut sauna kit, outdoor sauna, cedar sauna or Finnish home sauna. Or select a custom sauna kit, sauna room, log sauna, indoor sauna or prebuilt sauna. We make all types of home saunas, even sauna baths and steam baths. The sauna factory-outlet prices at Home Saunas Since 1974 mean real savings for you when it's time to buy a sauna . Home Saunas Since 1974 can supply every type of traditional Finnish home sauna kit: hot sauna, dry sauna, hot rock sauna or wet sauna. Or choose a sauna bath, residential sauna or commercial sauna. We have them all... even the Russian banya! For sauna buyers wanting to buy or build traditional saunas, our sauna design team will supply the sauna parts needed for sauna construction. If you want to do it yourself with the build-your-own-sauna option, simply buy the DIY sauna equipment as needed. Our internet sauna store is open 7 days per week. Just call the 800 number at the top of any page. Just call us. You'll be glad you did! - Or email us.